The International Conference on ‘Postmodern Dracula’ explored postodern themes in Bram Stoker’s Victorian novel and its 1992 film adaptation by Francis Ford Coppola. Papers delivered at the conference asked questions such as: What are the postmodern elements of Stoker’s novel? Where are the Victorian traits in Coppola’s film? Is there a postmodern gloss on these Victorian traits? And to what extent is it possible to establish coherent links between Victorianism and postmodernism in general? The conference gathered together thirteen speakers from universities in France and the United Kingdom and included a ‘pedagogical panel’ for students preparing the agrégation exam (Dracula being one of the works on the programme in the year of the conference). The presentations, in their different ways, offered a view of Dracula as a work that defies time and promises to undermine any critical study of it that tries to situate it too firmly within a given epoch, including a postmodernist one. Given its relationship to late-capitalist economy, to post-Marxist politics, and to commodity culture, and given its universal appeal to human fears and anxieties, fetishes and fantasies, lusts and desires, Stoker’s novel will forever remain post/modern always haunting our future, as it has repeatedly done to our past. 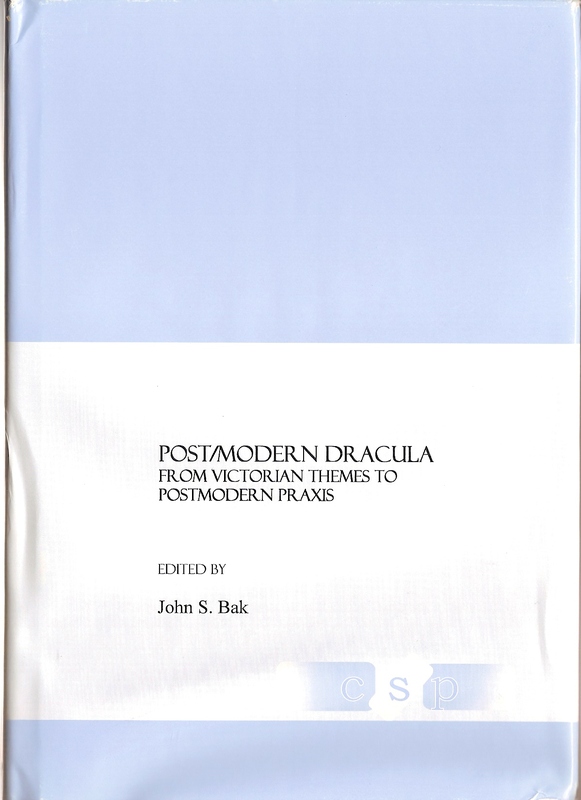 A peer-reviewed selection of revised articles based on the presentations given at the conference was published by Cambridge Scholars Publishing, Post/modern Dracula: From Victorian Themes to Postmodern Praxis (2007).